It’s hard to prioritize when you are inundated with requests for deliverables that were “needed yesterday.” If that is the only indicator of what items should come first, it’s quite clear what your #1 priority should be: build a time machine. A little rusty on your time dilation, quantum physics and special spacetime geometries? Of course you are. You’ve been too busy trying to figure out what needs to get done first. Here are two approaches to prioritizing tasks that go beyond making a checklist of things to do. The four-quadrant matrix was created by Stephen Covey, A. Roger and Rebecca R. Merrill for their self-help book, First Things First. This approach addresses the fact that tasks aren’t always deadline oriented. The authors assert that important decisions aren’t guided merely by the “clock” of scheduling, but also by purpose and values. You’re automatically one step closer to being a quantum physicist when you use matrices. Quadrant 1. Important and Urgent. Must do now. Do not skip. Do not pass. These are items that need immediate attention. A fire in the baby’s room? Quadrant 1. Definitely Quadrant 1. Quadrant 2. Important but Not Urgent. These items are still must do. Perhaps not right this instant or even today, but you will definitely regret it when you realize you haven’t done them. Think tire rotation or staying in shape. Quadrant 3. Not Important but Urgent. A lot of distractions fall into this category. Not the fire-in-baby’s-room type of distractions, but distractions like email or phone calls. Unless it’s your baby emailing you about a fire in his room. 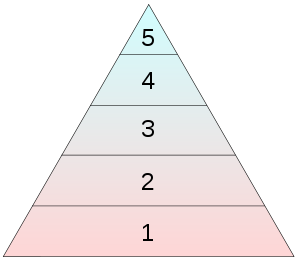 Quadrant 4. Not Important and Not Urgent. 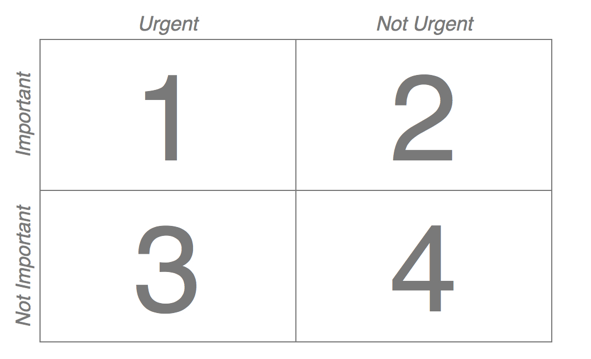 Ideally, you can eliminate the tasks you put in Quadrant 4 and no one will care, miss them or even notice. Like forwarding a chain email you received from your mom to prevent seven years of bad luck. 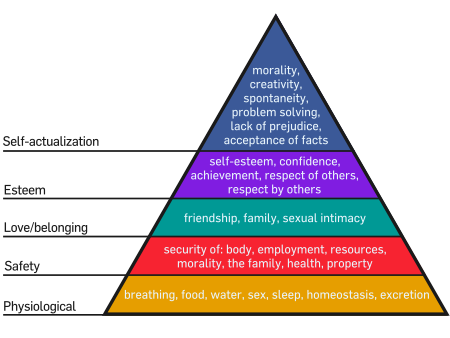 Originally proposed by Abraham Maslow in his 1943 paper, “A Theory of Human Motivation,” the hierarchy of needs describes the pattern that human motivations generally move through with the largest, most fundamental level of needs at the bottom. lower levels before moving to higher levels. This can easily be adjusted to prioritize business tasks. Get money. A business’ main purpose is to make money. If not doing a particular task prevents your organization from getting money or funding, then that is a high-priority task. At the end of the day, if your organization can’t stay afloat, it can’t exist. This applies to non-profits and other institutions as well. Security. With database hackings frequently in the news, businesses need to maintain vigilance over confidential information. Information breaches and security holes need to be dealt with swiftly. Customer experience. As many companies know, it doesn’t take much to get on a customer’s bad side. Any task that will ultimately enhance your customers’ interaction with your organization’s product or service is always worthy of effort and priority. Team perception. Companies always say their employees are their biggest asset. And it’s true. A business is incapable of growing and improving if there’s no talent driving it forward. Will your incomplete tasks alienate team members or prevent them from doing their jobs? Customer perception. A good product isn’t necessarily enough. With companies becoming more visible in their consumers’ social networks, customers want to see more personality and culture of their favorite brands. Be sure to make time for those kooky projects that show your company’s style. Working smarter is about more than just prioritizing your tasks! Get your copy of the “Simplicity 2.0 Guide to Working Smarter” today and discover new ways to streamline your work and be more productive!